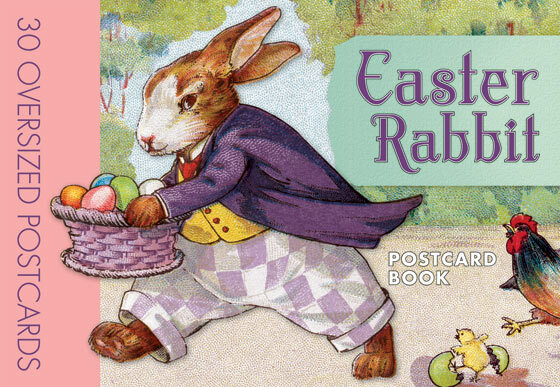 We know that the Easter Rabbit is a very busy fellow on Easter morning, but few consider his schedule the rest of the year. We know that the Easter Rabbit is a very busy fellow on Easter morning, but few consider his schedule the rest of the year. These thirty vintage postcards, carefully chosen from The Laughing Elephant's large collection, depict the Easter Rabbit in a wide variety of activities including dyeing eggs, interacting with children and engaged in leisure activities, such as photography, music and baseball. Delivery of eggs via cart, boat and bicycle is featured prominently.